Home » Integrated Urban Development » The dilemma of fighting urban poverty: invest into poor people or into poor places? This article provides an insight into URBACT’s work on urban poverty and its contribution to the Urban Poverty Partnership of the Urban Agenda for the European Union. At URBACT City Festival 2018, the walkshop 5 “Tackling urban poverty from the ground up” on 14 September will deal with these issues. Urban poverty is a complex phenomenon. This article aims to highlight some interesting aspects of the problem of poverty and some – partly unexpected – experiences of anti-poverty policies. Also the long history of URBACT to deal with the issue of urban poverty will be summarized, following the earlier URBACT projects with important milestones of capitalization efforts since 2012 up till today. Most statements of the article are based on common research with Laura Colini (Colini-Tosics, 2017). The analysis of poverty data over time and across territories brings up many interesting and surprising results. Data show ups and downs in the success to fight poverty: the share of severely materially deprived population in the EU-27 countries decreased between 2005 and 2009 from 11% to 8%, but got back to 11% in 2012. The effects of the financial crisis were especially strong in Greece, Hungary, Lithuania, Latvia and Italy, where deprivation rates increased by 7-8 % between 2008 and 2012 (European Commission, 2014). There is no direct correlation between poverty rates and the level of inequalities: in times of economic growth poverty may decline parallel to an increase in inequalities, while since the crisis both poverty and inequalities are increasing. The spatial patterns of poverty are very different across European countries: in Bulgaria, Romania and Hungary deprivation rates are much lower in cities than in rural areas, while in Austria, Ireland, UK and Belgium the situation is just the reverse, deprivation rates are higher in cities than in the rest of the country. On the other hand, the territorial concentration of urban poverty seems to increase everywhere: according to new survey results metropolitan Europe is becoming more divided, with increasing income disparities accompanying growing spatial separation of the better-off from the poor (Musterd et al, 2017). The drafting of the Europe 2020 strategy started before the crisis. One of the five headline targets is inclusive growth with the aim to reduce in the EU the number of people at risk of poverty or social exclusion by 20 million, relative to 2010. However, between 2008 and 2012 this number increased by 6.5 million. As a consequence, the poverty target of the EU2020 strategy will not be fulfilled: instead of decreasing to below 20% this share raised to almost a quarter (24.8%) of the total population. The most visible forms of urban poverty are those which are territorially concentrated, to inner city, housing estate or peripheral areas. The photos illustrate these different spatial configurations of poverty neighbourhoods on the examples taken from Budapest, Kosice and Sofia. Regardless on their spatial position, such areas are called „ghettoes” by politicians and become targets of physical interventions. However, it is easy to commit mistakes. Even interventions with the best intentions, if not paying enough attention to understand the reasons and processes of deprivation and poverty, might miss the target. The following cases are examples on contradictory interventions into deprived areas. It is very important to understand the roles that different neighbourhoods play in the local housing markets. Some poor areas perform the role of being a transitory neighbourhood in which newcomers to a city can find affordable rents and low costs of living. Once personal conditions improve they move out of the area. These areas have to be distinguished from the ‘dead-end’ areas from where the chances are very low to move out anywhere. Thus a static view on a neighbourhood (its composition in a given moment of time) does not tell about its real, dynamic role in the city. Correspondingly, making a decision to demolish an area just on the basis of its low social status can have disastrous consequences on the functioning of the local housing market. 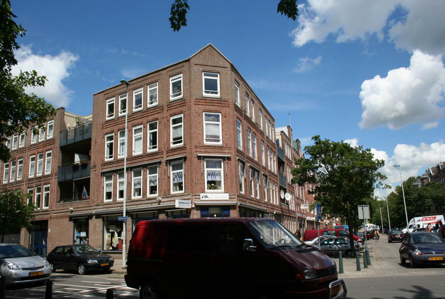 As an illustration an inner city neighbourhood of a Dutch city can be shown. This is a relatively poor area with housing association owned social housing stock. As the city leadership wanted to attract back middle and high income residents from the suburbs, politicians raised the idea to demolish the area, replacing the “outdated” stock with high quality new housing. This would have obviously a disastrous effect, diminishing the chances of those population groups which use this cheap area as an entry point into the local housing market. No wonder that big struggles have started between the tenants (the housing association) and the city leadership. The plans have later been modified – partly due to the financial crisis – towards giving higher role for renovation. In the case of dead-end neighbourhoods, demolition of social housing might be unavoidable. However, there can always questions be raised if the demolition of physically fit buildings remains the only answer on the high concentration of economic and social problems. In most cases demolitions could have been avoided by changing in time housing allocation policies with efforts to create more mixed neighbourhoods in the same area, avoiding demolition. 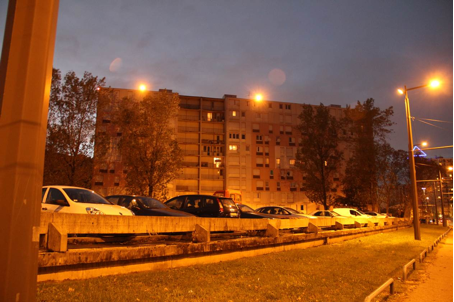 The building in the photo was part of a housing estate in one of the large French cities. In the last decade big physical redevelopment activities have started in France, with thousands of flats demolished (including the building shown). The aim was to decrease the high share of social housing while also tackling the problems of high criminality, unemployment and poverty in the area. However, as over 40 thousand families are waiting for social housing in the conurbation of this city, large political debates broke out about the demolition of (otherwise physically fit) high-rise buildings. The decision of the local municipality to demolish was largely influenced by the fact that extra subsidies given by the French state for demolition made this option economically viable in the calculations against the more difficult complex, integrated regeneration interventions. Physical interventions have to be in harmony with social and financial considerations. This is especially true for the renovation/regeneration of existing buildings: the level of renovation and the financial conditions influence fundamentally the living conditions of the residents. For the extreme form of using renovation intentionally to change social conditions a new word has been coined: “renoviction” refers to the strategy of a landlord to evict all of a building's tenants on the grounds that a large-scale renovation is planned. In one of the very poor areas in a Hungarian city a different example of surprising and unintended consequences of renovation occurred. The local government first wanted to demolish a dilapidated building with 40 single room flats (no water, no toilet and no bathroom within the flats) but then changed the approach towards renovation. 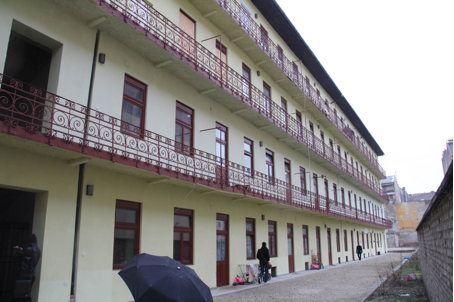 The tenants were placed temporarily to other buildings and all the 40 units were renovated, also introducing the water into the flats, creating the opportunity to have inside toilet and a small shower. To the greatest surprise of the local government most of the tenants rejected to move back into the improved flats. The reason is quite simple: in the absence of a universal housing benefit system the poor tenants were unable to cover the increase of the housing costs, due to the new payment item of running water in their flats. Another lesson is that interventions into deprived areas have to be carefully thought of. There are many types of possible interventions into segregated areas, demolition is not at all the only possible approach. “If nothing else is done, as the moving out of people and knocking down of the buildings, it is quite likely that the dead-end neighbourhood will be replicated somewhere else. If the reasons why a particular place became a dead-end space are not fundamentally changed, then the structural forces will create another one. The notion that you can eliminate a problem by bulldozing the place, is naïve and creates great human costs.” (These are the words of Professor Georg Galster of Wayne university in the video Against Divided Cities – Colini et al, 2012). As the briefly mentioned examples have shown and the experts have highlighted, it is a big dilemma of urban poverty policies to what extent to invest into poor people or into poor places and what type of interventions to chose. All the three examples shown for contradictory interventions belong to the second option, area-based policies, which focus on specific geographical units, poor neighbourhoods. The aim of such policies is to improve the situation of people living in these areas, assuming that by focusing on places with specific problems, the situation of many of the poor people will be improved. There is a large choice of interventions possible in poor areas. 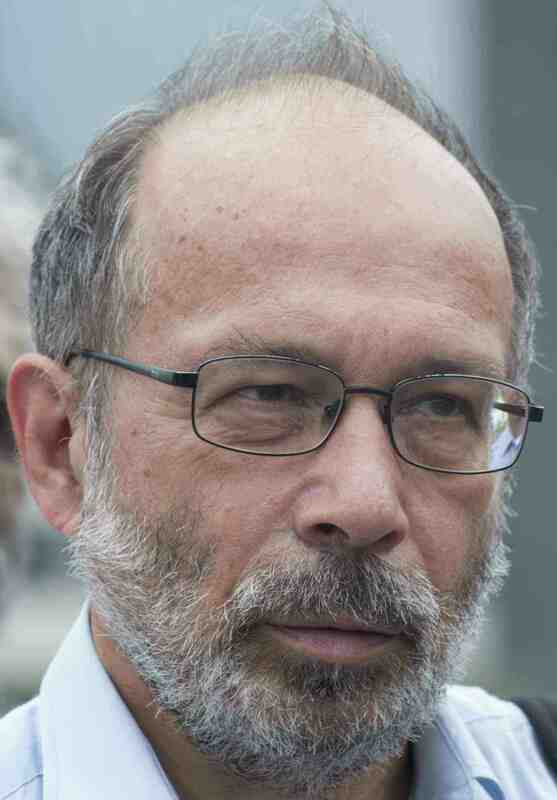 The alternative approach is called “people-based policies” in which interventions are not linked to any specific spatial level, do not affect directly the deprived areas but might have positive effect on them through improving the situation of poor people independently from the fact where they live. Such policies are operated by domain/sector, e.g. social housing policy aiming to make affordable housing available to those in need, education and school policy promoting equal quality of education for all pupils, social policies aiming to increase the lowest levels of public services provision, mobility policy guaranteeing equal opportunities of access by public transport from all parts of the city to the job market and major facilities, etc. The 2013 URBACT work (Colini, et al, 2013) concluded that neither sectoral nor area-based approaches alone are satisfactory. A sectoral policy will only reach some of the factors, while an area-based initiative will only impact on the factors within the area, not at a city-wide or regional level. There is a tendency to consider area-based policies as more important as these are cost-effective and can facilitate the implementation of integrated policies, where a range of policies from different domains are applied simultaneously and in a coordinated way. The downside of this approach, however, is that disadvantaged people who do not live in the targeted areas are neglected. In addition, these policies may result in the displacement of some residents who become priced-out of the area due to rising house prices as a consequence of the intervention. Also a sucking effect may develop on people in need: beneficiaries of specific programmes tend to leave the most deprived area and are replaced by even poorer people coming from other part of the city (or even other cities) to the area because of the social services provided. Successful poverty policies, through sectoral interventions, the regeneration of deprived areas, or in combination of both, are difficult and complex processes. In order to find the optimal balance between sectoral and area-based interventions, policy integration is needed bringing policies from different governmental levels (vertical policy integration) and from different departments of government (horizontal policy integration) together. It is also important to deal with the territorial integration aspect, to handle the ‘waterbed’ phenomenon, whereby problems shift from the intervention area to other parts of the city. In this process national level poverty policies (initiating and supporting local strategies) are of crucial importance. It is clear, however, that there are big differences between EU countries: some have national urban poverty (and urban regeneration) policies, others not. 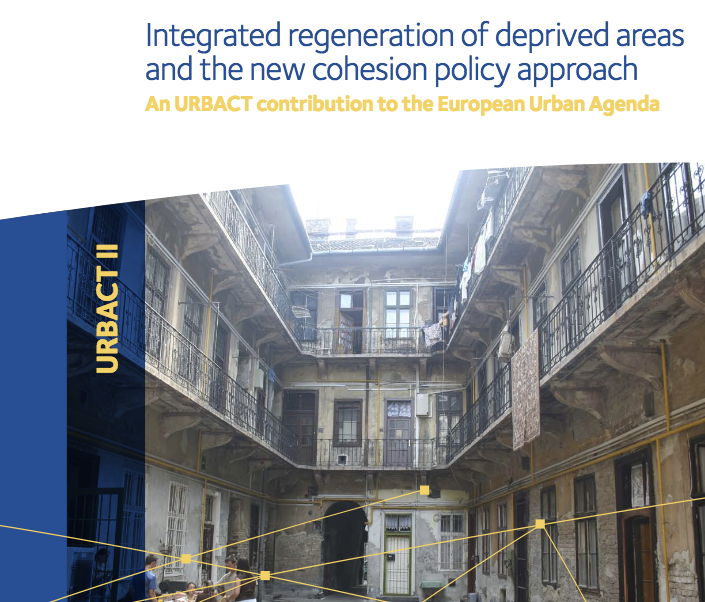 With regard to the growing threats of urban poverty and its spatial concentration, URBACT launched an initiative to explore the existing national policies and practices of integrated regeneration of deprived areas. 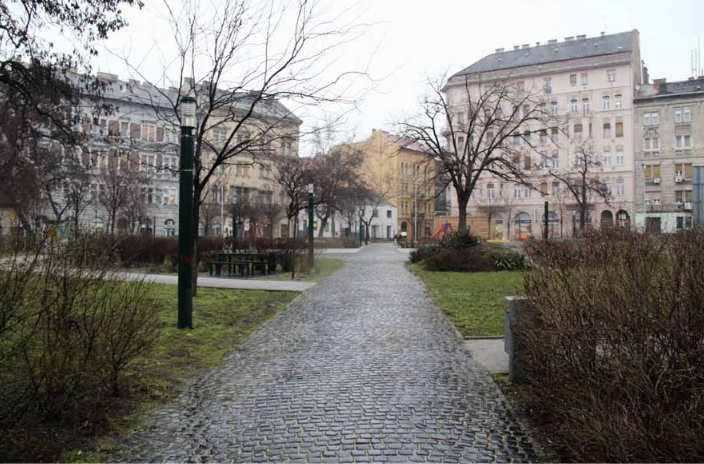 The outcome of this initiative was a seminar in Brussels in spring 2015 and a publication summarizing the national policies towards integrated regeneration of deprived areas (Tosics, 2015). The conclusion of this seminar states that although the approaches of the EU countries are very different, it is an important sign that the two largest EU countries, Germany and France have recently introduced new policies towards deprived areas, with substantial increase of the financial support to regeneration interventions. The representative of the European Commission expressed his hope that the new Cohesion Policy approach will lead to increasing investments into urban strategies. The Commission aimed also to give a new impetus to the EU Urban Agenda. Action 7 of this Action Plan, titled “Cohesion policy post 2020: Local pact for the regeneration of urban deprived areas and neighbourhoods (UDAN)” proposes the Local Pact as a multi-fund instrument to assign urban authorities a leading role in the design of their strategies of urban regeneration of deprived urban areas in the Cohesion Policy post 2020. Based on a multi-level approach between local and national policymakers, it adopts a mixed place-based and people-based vision, allowing it to adopt the necessary flexibility to address the different dimensions of urban poverty through integrated strategies. To test the parameters of a local pact, URBACT initiated in 2018 a further capitalisation project called “Fighting Urban Deprivation: A Local Pact”. The aim, to reduce territorial disparities and fight urban deprivation, should be achieved with a focus on deprived areas, while the actions can be territorially more spread, as many problems can be handled with interventions outside the deprived areas. Within this ongoing capitalisation project a working group made up of voluntary members of the Urban Poverty Partnership (four member states: France, Germany, Poland and Spain and four URBACT cities: Lille, Berlin, Lodz and Barcelona), accompanied by URBACT experts, test the multi-level governance model for the reduction of urban disparities. Besides the cities, their Managing Authorities, regional and national level authorities also participate in order to make the guidelines more precise and test multi-level governance considerations. The activity is organised through a series of national policy labs held in the different participating countries, gathering all relevant stakeholders. As a final product each country group of national-region-city level participants will produce a pilot integrated city “pact” between the city, the regional and the national level. Those who are interested in this ongoing capitalisation project can get a snapshot of it during the URBACT City Festival in Lisbon, on Day 2 (14 September) in walkshop 5: Tackling urban poverty from the ground up.